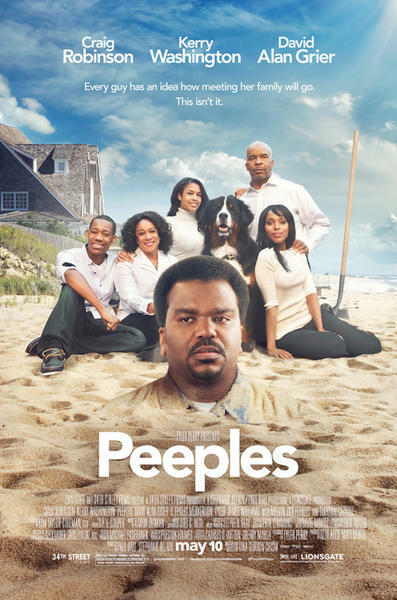 With so many of his films populated by nearly all black casts, you might think it would be harder to find quality black actors who haven't worked with Tyler Perry than have. But that's not the case. There are still tons of great black actors who have yet to take the Tyler Perry paycheck. It takes a specific kind of actor to hack it in a Tyler Perry film, however. Not everyone can pull it off. You have to have a certain quality that allows you to say the utterly ridiculous with utmost sincerity. A good Tyler Perry actor isn't likely to be some giant superstar, either. We're not talking about guys like Will Smith or Denzel Washington. We're talking about medium-level actors -- even better if they have a weird streak in them. The following 10 actors would fit perfectly into Tyler Perry's cinematic world, and it's a shock they haven't made the leap already. Let's jump right in with quite possibly the strangest actor of all time. 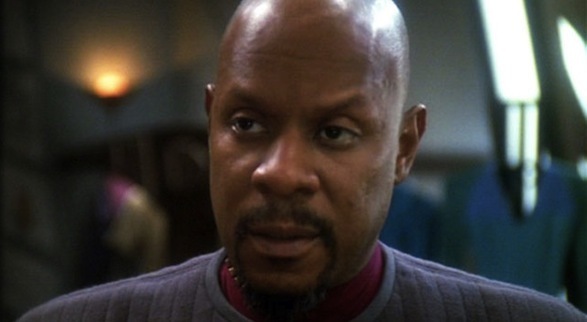 Avery Brooks hasn't acted for awhile now, but he needs to be in a Tyler Perry film. People make fun of William Shatner's random pauses and arrhythmic speech patterns, but Brooks has him beat in that department, hands down. If Tyler Perry ever needs another really weird old guy but one slightly more menacing than Joe, the one he already plays, he need look no further. Tyra Banks is a crazy person. She's loud, in your face, and arrogant. Her acting skills are questionable at best. She's a TV star. And her fame is almost completely limited to women. Sounds like a perfect Tyler Perry actress to me. Tyra Banks probably wouldn't make it in a Tyler Perry film playing anything other than herself, but Doctor Phil and Judge Mathis both made the leap, so I don't see why Tyra shouldn't be able to as well. With Temptation's inclusion of Kim Kardashian, it only seems that much more inevitable. Just think of it: a handful of makeup-augmented Eddie Murphys going head-to-head with a handful of makeup-augmented Tyler Perrys. The fart jokes alone could only be described as epic. Maybe this feels unlikely to you thanks to Eddie Murphy's purely hypothetical superstardom. But I wouldn't be so sure. People get desperate, and Eddie Murphy hasn't had a hit for a long time. Besides, the inevitable ego clashing on set between the two might lead them both to the best work of their careers. Let's cross our fingers and make this one happen. Tyler Perry loves The Color Purple, so it stands to reason that someday he'd finally get Danny Glover in a film. 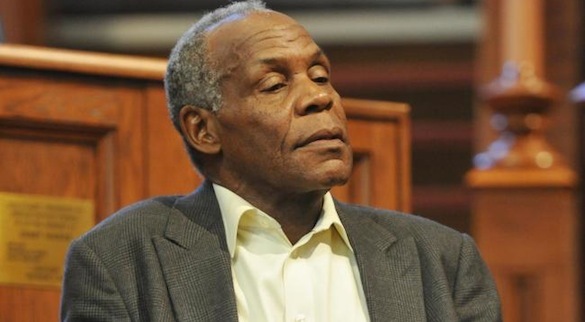 Meanwhile, Danny Glover hasn't had a whole lot going on lately movie-wise. His career currently rests at that medium range, Tyler Perry sweet spot, making now the ideal time for an appearance in a Tyler Perry film. And as anyone who watched the last couple Lethal Weapon films can attest, his line delivery has been growing increasingly goofy with time. He'd make a perfect match. Whenever Tyler Perry feels the need to whip out an elder statesman to help legitimize his own, questionable views, he tends to use Cicely Tyson as a default. 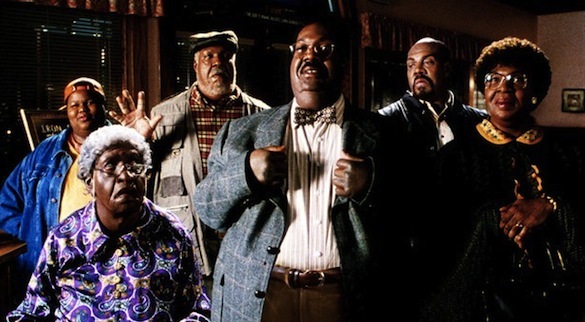 She appears in Diary of a Mad Black Woman, Madea's Family Reunion, Why Did I Get Married, Too? and somehow even managed to appear in Alex Cross despite that one not being an actual Tyler Perry film. Tyson's involvement is actually quite fitting since she sits comfortably among the strangest actors out there. 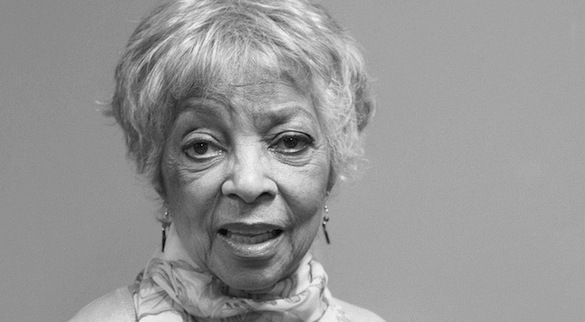 But Tyler Perry should really consider retiring her or at least giving her a break and giving Ruby Dee a shot. Dee can supply Tyler Perry with the same level of casting legitimacy while also offering him a better, more dramatic actor in the deal. To get just a little bit hyperbolic, Jeffrey Wright might be one of the greatest actors out there right now. He truly shines in every role he gets and adds class to even the goofiest films. So why would he be in a Tyler Perry film? Well, in all truth, he probably wouldn't. But you never know. 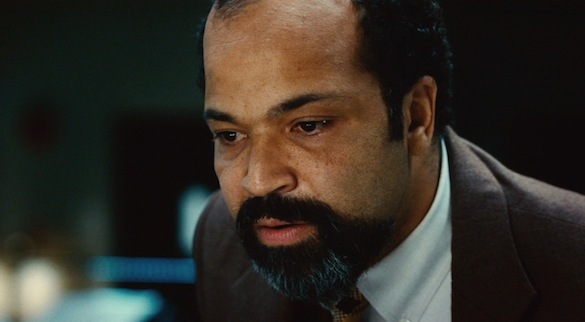 Jeffrey Wright has been in some weird enough movies that you can't count his participation out. That he would be underutilized by TP is a near certainty, but it'd be fun to see him all the same. The Help's Octavia Spencer is an actress tailor-made for Tyler Perry. Not only is she talented, but she employs a massive capacity for funny sass and a face that looks ready to melt into tears at any moment, both ideal features for a Tyler Perry actor. On top of that, people loved The Help, and most of that love can be linked directly to Spencer's performance. Adding her to a cast could actually net Tyler Perry some valuable new audience members, bringing him even closer to the crossover success that has long eluded him. 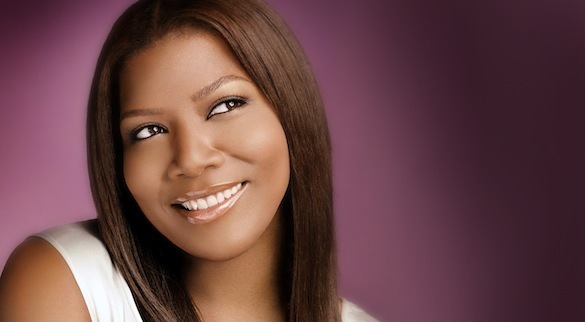 Why hasn't Queen Latifah been in a Tyler Perry film yet? Few actresses out there provide him with a more perfect leading lady. Latifah can hold her own with both bad comedy and oversimplified drama. And as a beautiful yet full-figured woman, she offers Perry an unparalleled opportunity to give his core audience a physically relatable figure who also has what it takes to carry a film. Plus, put her in a wig and some glasses, and you basically have a young Madea. Imagine the possibilities of that! It's long past time TP tackled time travel, and Queen Latifah could finally give him the perfect chance. It's not that Vivica A. Fox hasn't been busy -- she has something like eight films coming out this year -- but all are so low profile that it's likely she's fallen off your radar. Most of us probably saw her last as Vernita Green in Quentin Tarantino's Kill Bill. That's a shame because Vivica A. Fox is awesome. If there's any silver lining to her current career trend, it's that it puts her in a good position to finally show up in a Tyler Perry film. Whether playing a supporting character or a lead, she'd be sure to knock it out of the park. As we've seen with Bow Wow in Madea's Big Happy Family, Brandy in Temptation, and Lil Romeo in Madea's Witness Protection, Tyler Perry loves to bring former teenage R&B singers into his fold. And when it comes to former teenage R&B singers, one of the last big conquests he's yet to land has to be Usher. I'd say Justin Timberlake, but we all know he's way too slick for that. Usher's just a little higher than Tyler Perry's normal standard as well, but where there's a will there's a way, and I bet TP could talk him into it given enough time. It's been a while since Usher taught us he could kind of act in movies like The Faculty and Light It Up. But maybe it hasn't been so long that he can't give it another go, especially when you consider the likelihood that Tyler Perry will let him show off his abs.